Today I received this wonderful picture in my school mailbox. Physics teacher Mr. 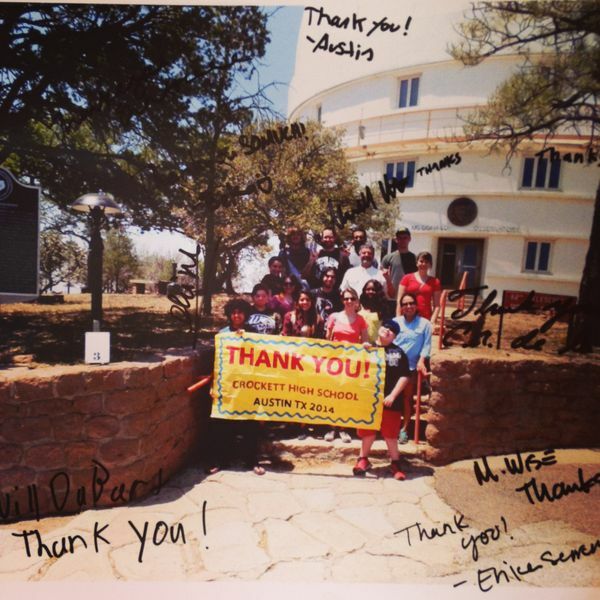 Wise had all the students sign it that went to the McDonald Observatory trip, as a way of thanking me for helping arrange for free passes to several events on their trip. I hope the students know how great it feels to receive this and I will certainly be framing it and hanging it in my office as soon as possible!